This is one of the classic treks in Himalayas of the world with stunning mountain scenery while staying in high quality lodges during the Mt.Everest base camp of the Khumbu region in Nepal. 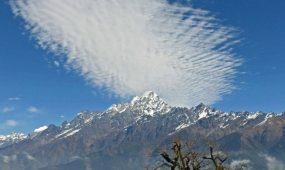 With our itinerary you get the opportunity to trek to both Chhukung way to Island peak and Everest Base Camp. On The Way to Everest Base camp Luxury Lodges are at a standard far better than anything else available in the area. The lodges provide the highest level of service with landscaped gardens, comfortable lounges and bedrooms as well as hot showers and western toilets during the Everest Base camp Trek (EBC). 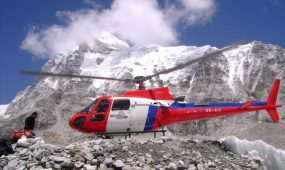 The trek starts with an exciting flight in a Twin Otter plane to the mountain airstrip at Lukla, from here we follow in the footsteps of famous mountaineers for the walk into Everest Base Camp. So we are now in Buddhist Sherpa country where you will see colorful prayer flags, mani walls and monasteries along the EBC trail. • Day 01: Arrival at Kathmandu. O/N at 5 star or Simalar Hotel. • DAY 02: Kathmandu: Sightseeing and Trek Preparation. O/N 5 star or Simalar Hotel. • DAY 03: Kathmandu – Lukla – Phakding [2,652m/8,700ft]: 3 – 4 hrs . O/N at Yeti Mountain Home. 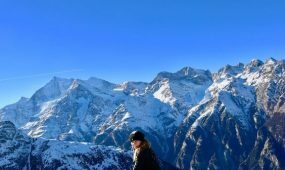 • DAY 04: Phakding – Namche Bazaar [3440 m/11,280 ft]: 5 – 6 hrs. O/N at Yeti Mountain Home. • DAY 05: Namche Bazaar Acclimatization Day. O/N at Yeti Mountain Home. • DAY 06: Namche Bazzar to Tangboche [3860m/12664ft]: 6 – 7 hrs, O/N at Guesthouse. • DAY 07: Tengboche to Dingboche [4360m/14304ft]: 3- 4 hrs, O/N at Lodge. • DAY 08: Dingboche – Duglha [4,600 m/15,090 ft]: 3 – 4 hrs, O/N at Guesthouse. • DAY 09: Duglha – Lobuche [4940 m/16,207 ft]: 2-3 hrs, O/N at Guesthouse. • DAY 10: Lobuche – Gorak Shep [5170 m/16,961ft] – Everest Base Camp [5364 m /17,594 ft] / Kala Patthar (5545 m/18,192 ft) – Gorak Shep: 8-9 hrs, O/N at Guesthouse. 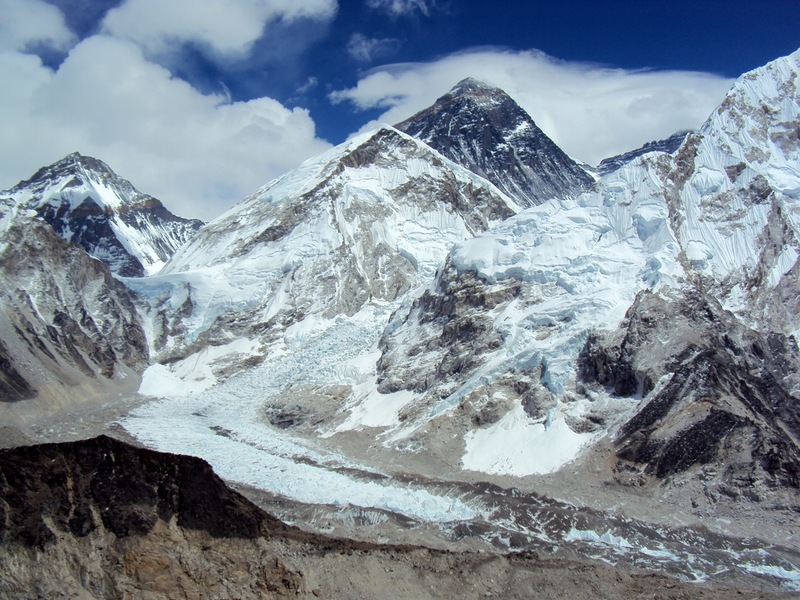 • DAY 11: Gorak Shep – Kala Patthar / Everest Base Camp – Pheriche [4280 m/14,070 ft],8-9 hrs, O/N at Guesthouse. 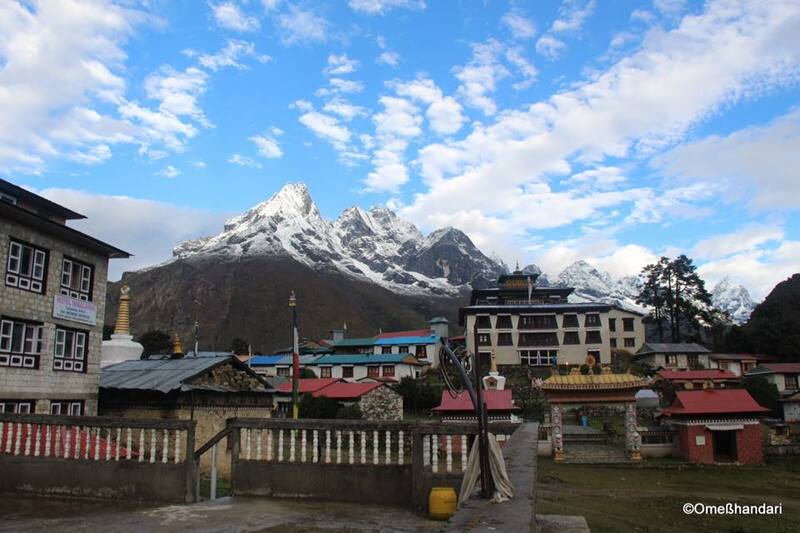 • DAY 12: Pheriche-Pangboche-Tengboche-Namche Bazaar [3,440 m/11,280 ft]: 6 -7 hrs. O/N at Yeti Mountain Home. • DAY 13: Namche Bazaar – Lukla [2,800m/9,186ft], 6 hrs. O/N at Yeti Mountain Home. • DAY 14: Fly Lukla to Kathmandu. O/N at Hotel Yak & Yeti or Similar Hotel. • DAY 15: Farewell Friend. O/N at 5 star Similar Hotel. • Day 16: Final Departure transfer to airport. 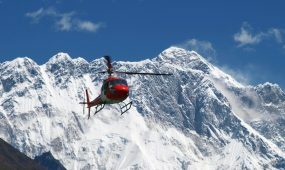 • [NOTE: The above information is a guide and standard template of what we provide during the Everest base camp trek . The trek can be customized at your request to accommodate your specific requirements. It is very difficult to predict the weather in mountain. Because of bad weather, the flight between Kathmandu to Lukla may be delayed or canceled for a day or more. 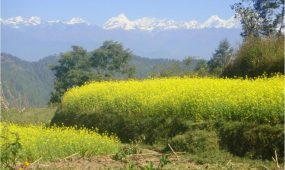 Due to the weather changes in Himalaya, we can face such problem even in good season. So we would like to request you to add few days extra in Kathmandu. If you complete your trip smoothly, then you can enjoy your time with other activities like sightseeing, White water rafting. Jungle activities or more. If your flight is cancelled in Kathmandu then we will re-book the flight for the next day. There may be an option to use private helicopter paying additional from $250 to $500 We may also be able to provide an option for a privately chartered helicopter. When flight is cancelled , we will arrange you a hotel however food and accommodation is not cover in the package. Same process will be applied if the flight cancelled or delayed in Lukla. 2 night Hotel in Kathmandu with BB Plan. 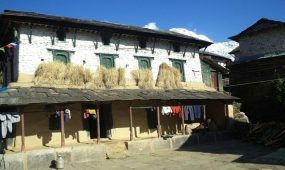 Accommodation while trekking in twin sharing basis tents or local lodges / guesthouses. Professional English speaking tour leader, guides and necessary porters. Sleeping Bag and Duffel bag for during Trekking period. Entry Visa fees – at present $25 for 15 day, US$ 40 for 30 day, and US$ 100 for three month visa on entry into Nepal. All food and beverages other than on the itinerary. Extra night accommodation in Kathmandu because of early arrival, late departure, and early return from the mountain (due to any reason) than the scheduled itinerary.